Toast, but tiny. Toast, but cereal. 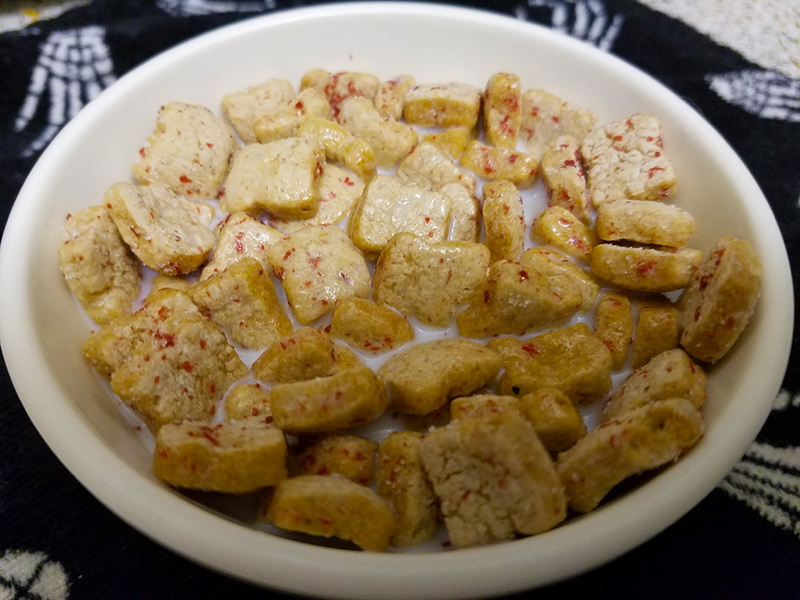 Tiny Toast Cereal. One might look at Tiny Toast cereal and think to yourself, “Big whoop! A toast cereal! We’ve got Cinnamon Toast Crunch AND French Toast Crunch in this world. That is enough toast based cereal!” I argue that not only are you wrong, but you’re dismissing something amazing. Cinnamon Toast Crunch, while amazing, has nothing in common with toast. Toast is not beautiful squares of swirled sugar. 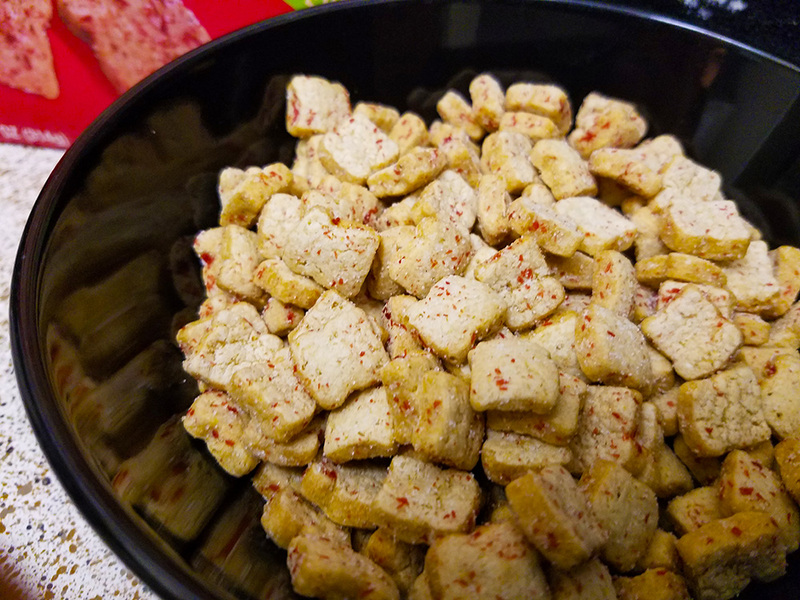 French Toast Crunch, sure, French Toast Crunch looks like toast and tastes like French Toast. That’s good stuff but French toast isn’t…really toast. I love it, but even if we argue that it is indeed toast based, is one toast based cereal really enough? Will our only toast based cereal be indulgent? Do we dare to dream of a toast based cereal that is, well…hearty? I say we do dare to dream, and I say that dream has come true. I eat a lot of cereal. Dry. With Milk. Some bizarre combination of those methods. Moral being, I eat a lot of cereal. 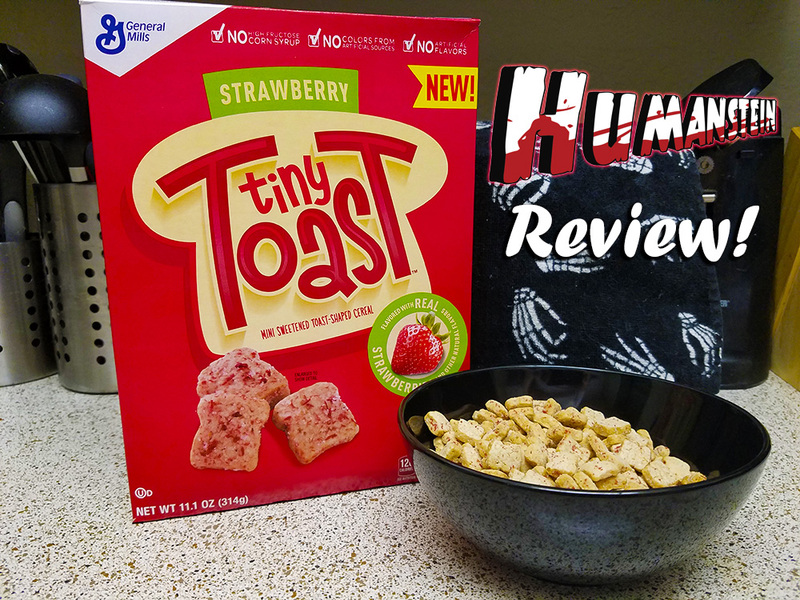 So when I say that Tiny Toast cereal is in all honesty maybe the most well rounded and satisfying cereal I have eaten in a very long time, I hope that means something. It is not the singular most exciting cereal out there, but damn if it isn’t great. The cereal is beautiful. Tiny little toasts. 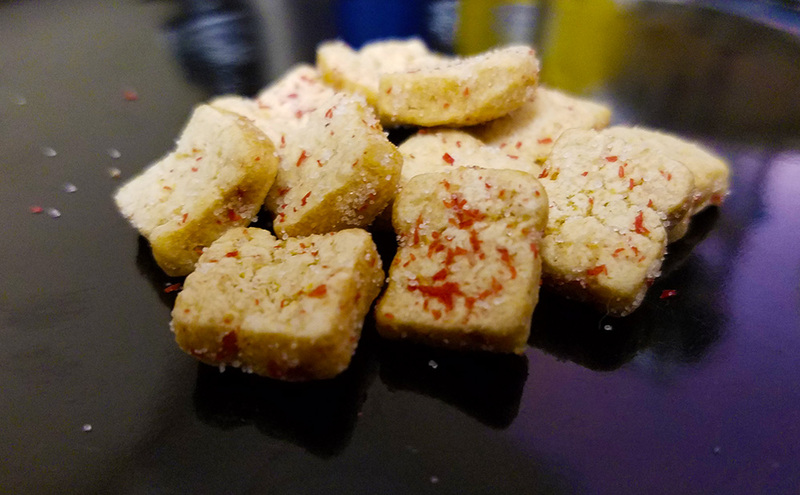 These tiny strawberry toasts are indeed very tiny and are coated with a very appealing dried strawberry puree and sprinkled with a powdered sugar coating. I am in love with these tiny toasts. They make me feel like a giant discovering the glory of caramelized bread for the first. Dry, the cereal tastes like, well, toast. Being more specific, the Strawberry Tiny Toast tastes like toast with a reasonable application of strawberry jelly. 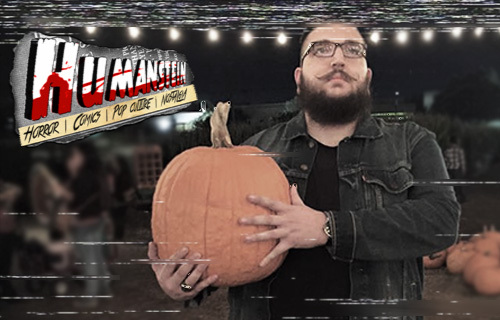 The texture and flavor are pretty much exactly what you’d hope. Perfectly toasted bread, just crisp enough, with the flavor featuring heavy notes of oak, flour and dough. These flavors being accented perfectly by the authentic strawberry flavor works very well. The only cereal I’ve ever eaten that corners the strawberry flavor market better than Strawberry Tiny Toast is Strawberry Cheerios, but this is pretty damn close and Strawberry Cheerios aren’t shaped like tiny breads, so who’s really winning here? The one knock against the cereal, and it’s not a big one, lies in the powdered sugar coating trying its hardest to overpower the strawberry flavor when dry. This problem is not a problem at all in milk, though. Moving on to the cereal in its intended environment, in milk, the powdered sugar coating seeps into the milk. This sugary infusion adds a level of dare I say sophisticated creaminess to the cereal and allows the hearty, authentic flavors of the toast and strawberry puree to shine. Like a historic samurai katana handed down generation to generation (which would be perfect for cutting bread in order to make toast if we’re being real) this cereal is perfectly balanced. Equal parts hearty and filling with an air of nutritional value and enough sweetness to offset that healthy feeling in just the right amount. Overall, I’d say that if you’re a cereal person, or a toast person, or a toast based cereal person, Tiny Toast cereal is a must buy. If you long for the illusion of making healthy choices but can’t bring yourself to make truly good choices before 10AM, Tiny Toast is perfect. It tastes great, is sweet enough to satisfy and is hearty and rich enough to fill you up and fuel your day.